AC Milan’s lack of quality depth will be as exposed as ever in the coming weeks due to their injury crisis, but transfer plans are in motion, according to reports. 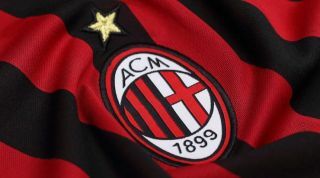 The Rossoneri have been hit with a string of setbacks with Alessio Romagnoli, Mattia Caldara, Mateo Musacchio, Lucas Biglia and Giacomo Bonaventura facing a lengthy spell on the sidelines. In turn, it will be a real test of the character in Gennaro Gattuso’s squad as to whether or not they can cope with it and continue to battle for a top-four finish in Serie A this season. In order to do so, they might need help in the January transfer window, and according to La Gazzetta dello Sport, targets are being lined up to offer solutions for the second half of the campaign. It’s suggested that Zlatan Ibrahimovic and Stefano Sensi could be prioritised to address the attack and midfield respectively, while Chelsea duo Gary Cahill and Andreas Christensen could be eyed as alternatives to Rodrigo Caio to bolster the backline. Both Chelsea stars have struggled for regular playing time so far this season as Maurizio Sarri has preferred other options, and so for them, it could be an ideal escape in January to get back on the pitch and play a key role for Milan in their bid to get back to the Champions League. Meanwhile, Calciomercato add Alexandre Pato and Leandro Paredes are two more options being considered, but it remains to be seen who arrives. Perhaps reassuringly for Gattuso and the club’s supporters though, it would appear as though the hierarchy are taking January signings into serious consideration as they seemingly appreciate the situation that the current injury-ravaged squad face.